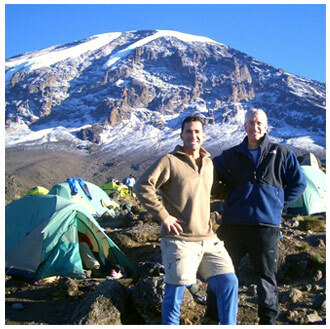 Machame Route is known as the "Whiskey" route. It is one of the most beautiful and popular, passing through a dense forest canopy to the glacier of Mount Kilimanjaro. It is a difficult route but has a high rate of success to the summit. Also see Lemosho Route Sample Itinerary. Drive from the lodge to Machame gate where hiking starts. Once you arrive at the gate, you will sign in at the park office and soon you will be ready to start climbing with your guides. 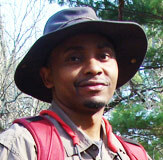 On the trail, you will walk through rain forest heading up to Machame camp. Lunch will be served on the trail and dinner at the camp. After breakfast, you will start hiking, leaving the rainforest behind and continuing ascent through the heather zone and small valley a up to the steep rocky ridge. Lunch will be served on the trail and dinner at the campsite. Aftrer breakfast, you will start ascent into semi-desert. This is the longer day but it's extremely good because it will give you more time to acclimatize (helping your body prepare for the summit). Lunch will be served on the trail and dinner at Barranco Camp. 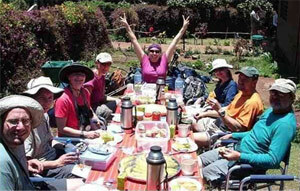 After breakfast you will ascend to the steep Barranco wall and trek across ridges of the Karanga Valley. This is an extremely tiring day, but the scenery is gorgeous. You will arrive at the campsite for lunch and have time to relax (maybe go for a little walk for more acclimatization purposes if time allowed). Dinner will be served at Karanga Camp. Today is a short hike but you are going to ascend through an uphill path across the barren rocky slopes. Arrive at the Barafu Camp on time for lunch and take a nap before dinner. Go to sleep early and get enough sleep before midnight where you are going to be awakened by your guide to begin the summit hiking. Overnight: Back at your hotel. This morning after breakfast you will continue descending through the rainforest to the Mweka Gate, where you will have lunch and be awarded climbing certificates and say goodbye to your guides, porters and cooks. You will be transferred back to your hotel for a hot shower.